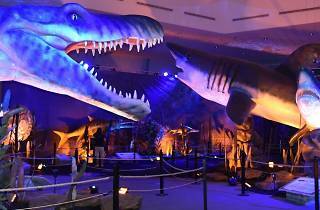 Feast your eyes on this animatronics showcase comprising 16 prehistoric sea monsters and two present day ones. The journey starts from a submarine explorer's point of view, where mythical creatures like the Kraken and the Loch Ness Monster have been tracked down on a world map. 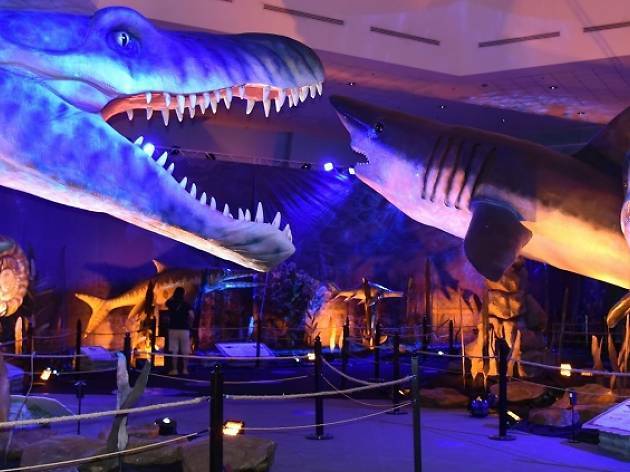 After that, you're submerged into the world of massive marine predators, with life-sized replicas of Basilosaurus, Dunkleosteous, Megalodon, Mosasaurus, Tylosaurus and more. You're prohibited from reaching past the barrier to touch the moving creatures, but stare into their blinking eyes long enough, and you might get the feeling of being stalked as prey. At the end of the exhibit, little ones can participate in activities ($5 per participant) such as creating their own 'sea monster' in a jar or making vibrating isopods.